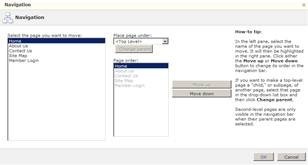 Office 365 – Rockin the CMS Boat! Office 365 is pretty cool, but can you host your public facing website in the Microsoft cloud? Yes you can, here’s how. The first part of this post covers the administrative steps involved with creating a new public facing website in Office 365. The remainder of the post will simply highlight some of the things I thought were pretty cool. 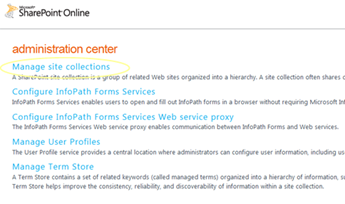 The first thing you need to do is create a new site collection for your new Office 365 public facing website. Now from the site collections screen, you want to create a new public website. Congratulations, you have just created a brand new public facing site on Office 365! Now you simply change the new site to suit your needs. Add some content, some images, some bling. 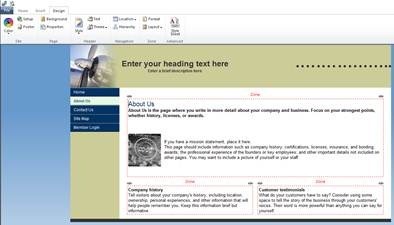 Change the look and feel, add your logo, header, footer, pages. Get the site structure the way you want it (navigation). 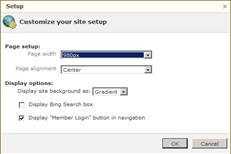 Does it have all the same capabilities as a dedicated SharePoint 2010 public facing website? No, but for me that’s almost a good thing – here’s why: The Office 365 public facing website CMS interface is different, better, easier and well thought-out. It’s also a familiar and intuitive interface b/c the ribbon concept is still in-tact. In my opinion, it’s just way easier to use and I was well impressed with it. Here are some of the things I really liked. You can probably tell from the above screen cap how you would do things like control the color of your site, the footer, background, text, theme, style, page layout, navigation, etc… but what the above still image doesn’t show you is how you can resize a Zone by dragging it. 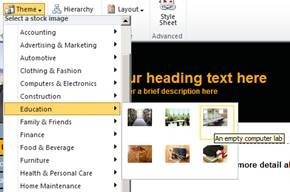 That’s brilliant and I wish it was like that with the box version of SharePoint 2010. There’s tons more Office 365 public facing website capabilities to explore and I’ll be updating this post as time permits. 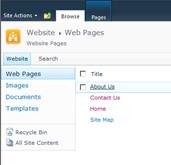 This entry was posted in CMS, Content Management, Office 365, SharePoint, WCM. Bookmark the permalink. 1 Response to Office 365 – Rockin the CMS Boat!